14.3 gal. Fuel Capacity 13.7 gal. The market for high-performance coupes demands cars that offer formidable power, handling and style. Two top models are the 2018 Porsche Cayman and the BMW M2. Each is a fun-to-drive, rear-wheel-drive car with a German heritage of engineering excellence. You will want to test-drive both, and we’re confident when you do, you’ll prefer the Porsche Cayman as the superior vehicle. The engines on the 2018 Porsche Cayman and Cayman S are located mid-car for extraordinary balance and stability. This balance translates into quick responses and agile road handling. Response is instantaneous, reacting immediately to your slightest input. The electromechanical steering is directly lifted from the Porsche 911 turbo. The BMW M2 offers admirable performance, but its front-car engine location cannot deliver the same balance you get from the Cayman. An exclusive feature of the Cayman is Porsche Torque Vectoring. It operates in conjunction with the car’s mechanical rear differential and anti-lock braking system. It selectively applies braking power while entering and exiting turns, thereby improving agility and traction. 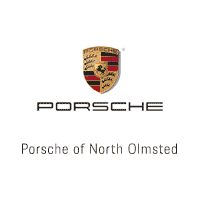 You can also order the multi-mode Porsche Active Suspension Management system for optimal handling and ride. These features are not available on the M2. The Cayman S tips the scales at a mere 2,988 pounds, versus 3,505 pounds for the M2. This gives the Cayman S a power per pound ratio of 0.117, compared to only 0.104 for the M2. That’s one of the reasons the Cayman S has a 0-to-60 mph time of 3.6 seconds, compared to 4.1 seconds for the BMW M2. Power distribution via the Porsche’s PDK dual clutch 7-speed automatic transmission is faster than anything possible with the 6-speed manual. The M2 offers a similar transmission, but it lacks the refinement of the Cayman’s. We invite you to stop by our Porsche dealership to test-drive the 2018 Cayman and Cayman S. You’ll appreciate our attentive customer service that prioritizes your satisfaction, and we look forward to your visit soon. ** EPA estimated MPG may vary by transmission, trim and individual driving behavior.